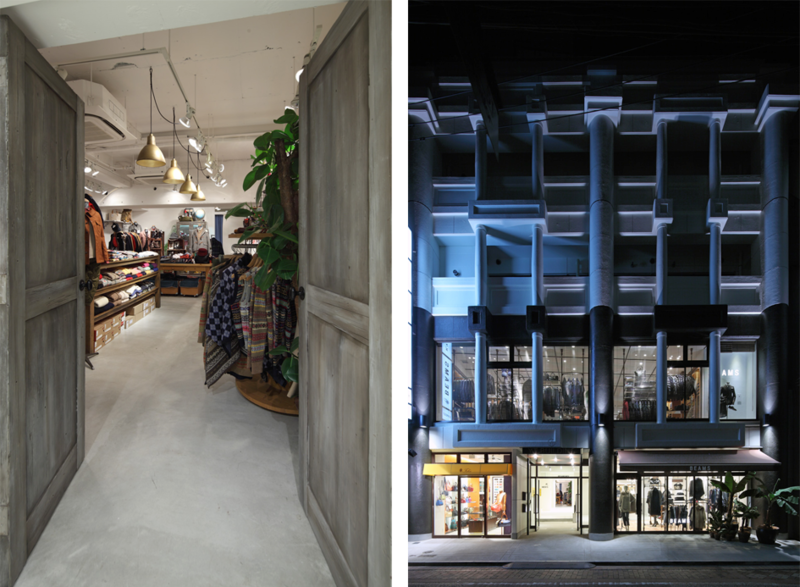 The building for BEAMS’s new store in Nagasaki was built in 1990 and was only redesigned in its current incarnation as a commercial building after going through a phase as a baroque-style wedding chapel. 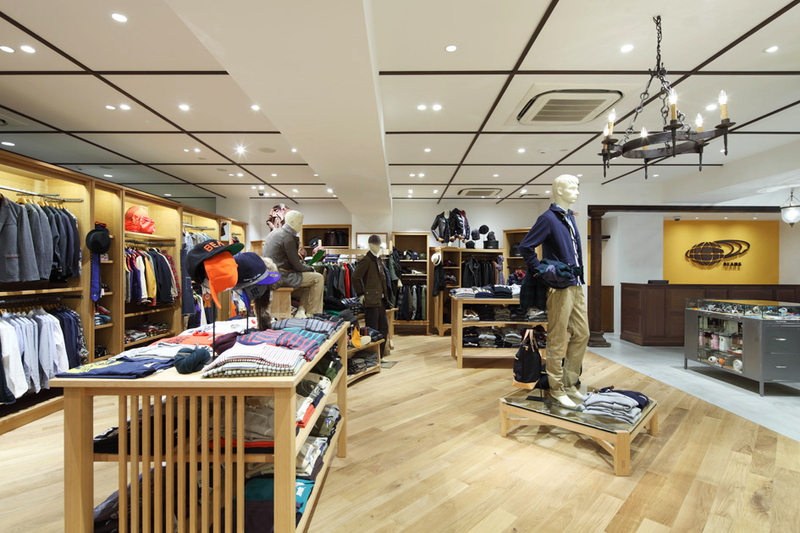 Jamo was asked to design the men’s and women’s BEAMS shops on the 1st and 2nd floors as well as some of the areas shared by all building tenants. 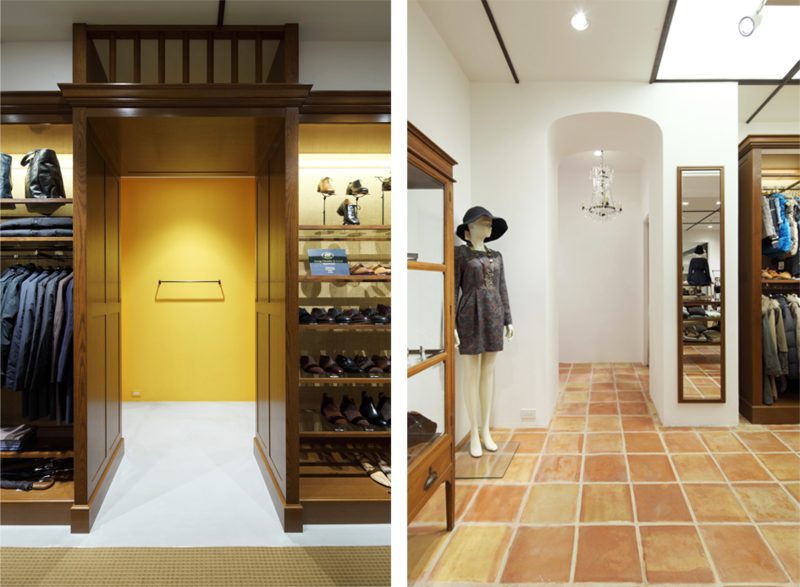 The large-scale renovations transformed the structure into a contemporary style building suitable for fashion brands and made use of the existing decorative motifs in the façade. 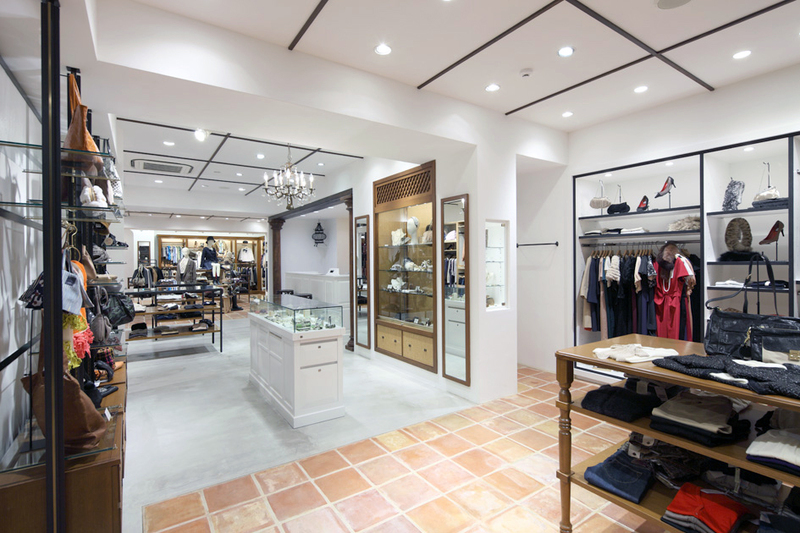 For over 10 years at its previous location in Nagasaki, BEAMS continued to be a draw for the city’s fashionable people and had a large customer base that straddled diverse age ranges. 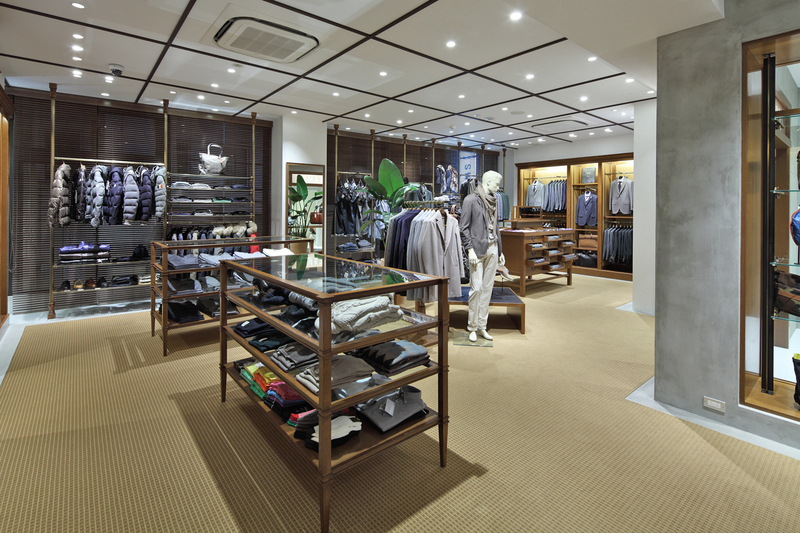 Jamo used white stucco walls and chic wooden display fixtures throughout the store and created a relaxed atmosphere with an awareness of the diversity of customers’ age groups. 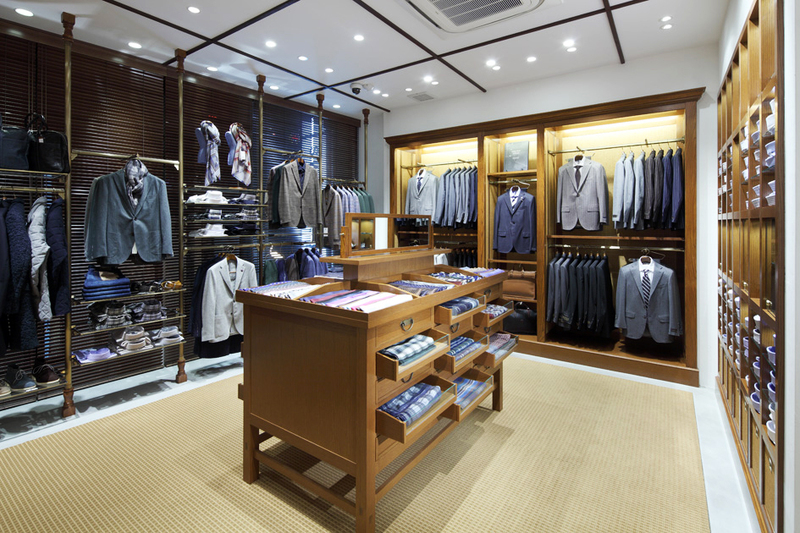 The shop’s ceilings were finished with a lattice pattern in narrow wooden ribs, which allowed Jamo to neatly arrange such functional facilities as air conditioning vents.